Source: January 31, 1916 War Diary Entry. 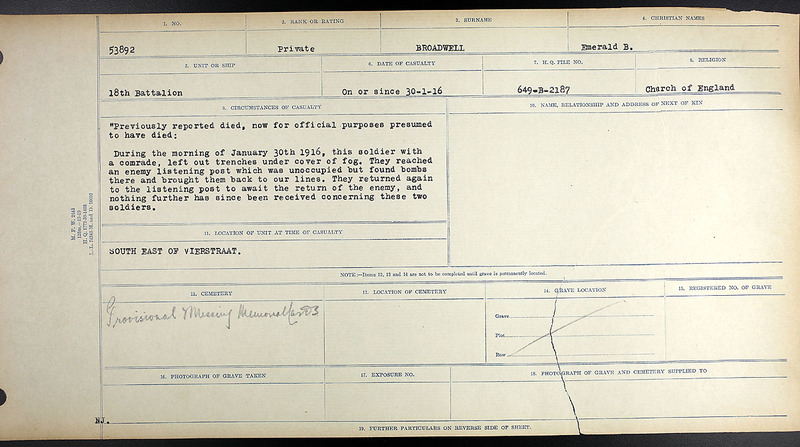 Went missing per Circumstances of Death Card with Private Albert James Reeves, reg. no. 53847. 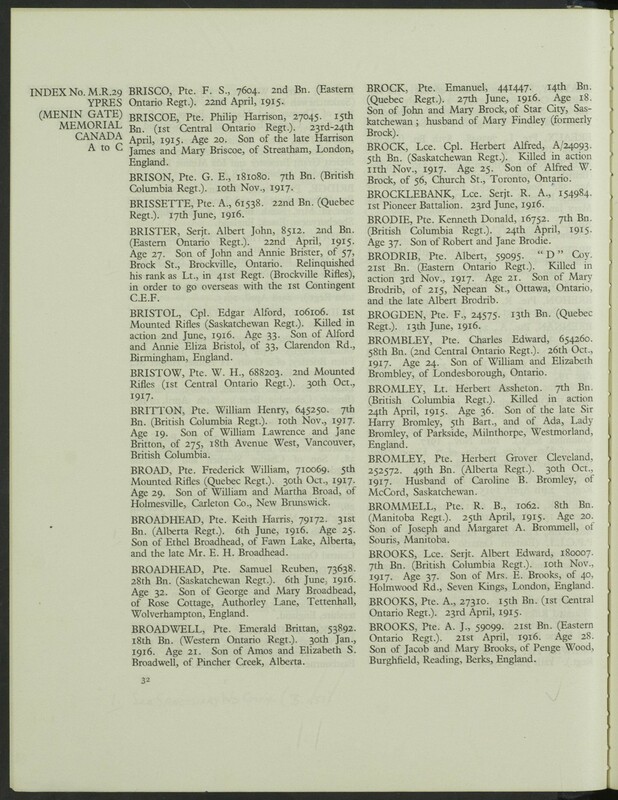 Son of Amos and Elizabeth S. Broadwell, of Pincher Creek, Alberta. Battn as yesterday – Pte. Atherton wounded on fatigue. Scouts Broadwell, Reeves reported missing – Lost on patrol. One wonders how the family found out and took this information but a news article later in the year gives hope and then another one dashes it. Below is the text of two London Free Press articles from 1916. 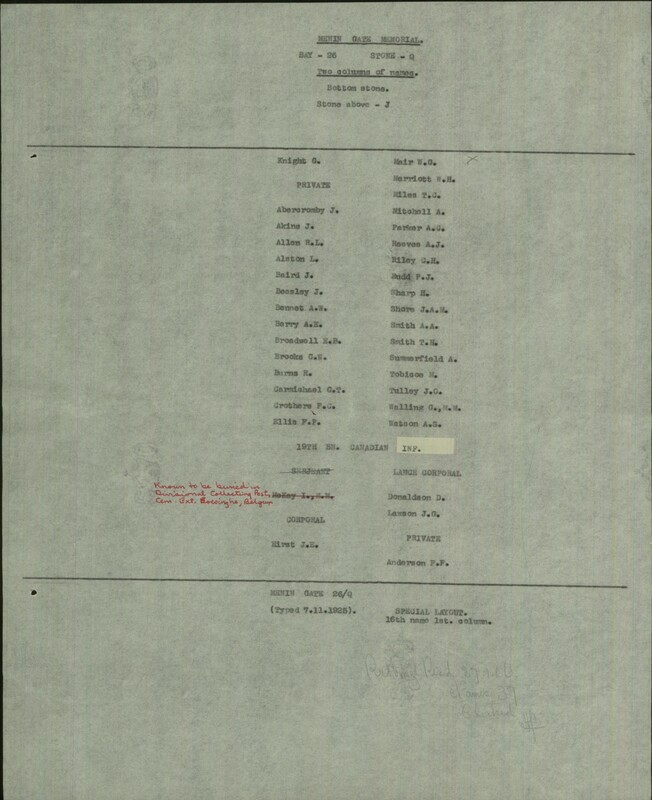 The first relates a letter from Sergt. 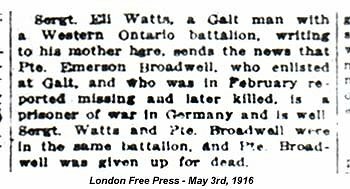 Eli Watts of the 18th Battalion indicating that a Pte. Emerson [Emerald] Broadwell is prisoner of war in Germany. 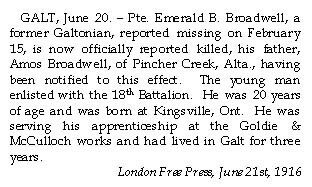 GALT, June 20 – Pte Emerald B. Broadwell, a former Galtonian, reported missing on Ferbruary 15, is now officially reported killed, his father, Amos Broadwell, of Pincher Creek, Alta., having been notified to this effect. 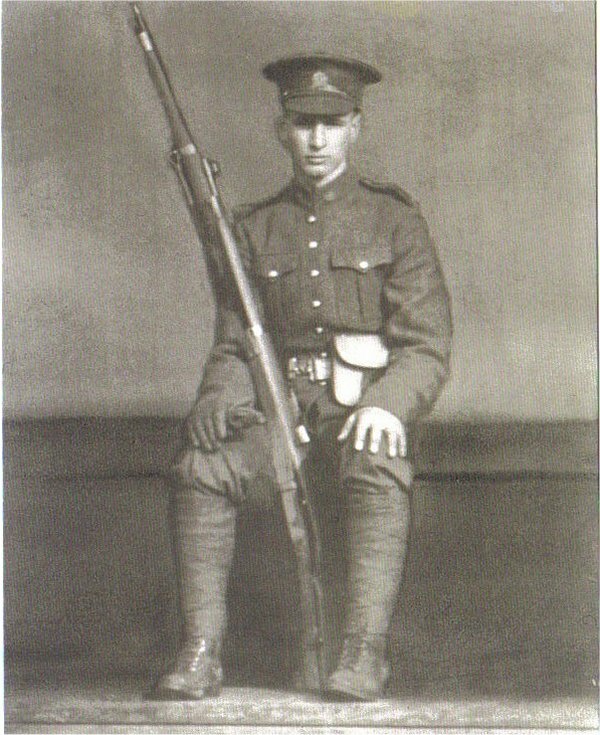 The young mand enlisted with the 18th Battalion. He was 20 years of age and was born at Kingsville, Ont. He was serving his apprenticeship at the Goldie & McCulloch works and lived in Galt for three years. One wonders how much more of the hope and heartbreak of having one’s son situation be reported incorrectly? Sadly, Company Sergeant Major Eli Watts was to perish in The Battle of Fler-Courcelette on September 15, 1916. The hearbreak was great, my great grandmother lost three sons during the great war. 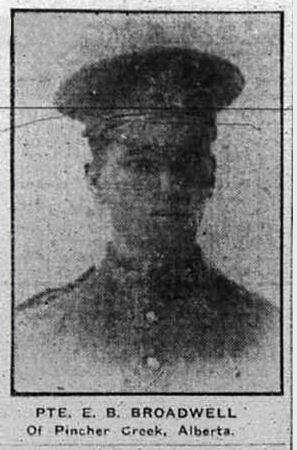 Emerald 1916, Jasper Broadwell 1916 (spinal Meningitis) he was a cadet and had not yet, enlisted and Pte Beryl Broadwell 16th Battalion CEF at Arleux Loop 5 June 1917, also was missing with no known grave.